Quote from lowrider181 : Here's a collection of recently made suits I made. do you have the gloves for those suits? Can someone post gloves and suit default skin? Quote from Juissiiii : Can someone post gloves and suit default skin? Sorry for the delay in posting the plain black Alpinestars Suit. I have finally got round to doing it!!! where i put gloves, and what name, and where i put steeringwheel and what name?? Extract the .rar files somewhere, then put the .dds files in your lfs data/dds/ folder. Red bull suit and gloves? Manne use serach, this is not the request section. Made some gloves today, hope you like, Gloves_A.dds are alpinestars gloves, and Gloves_B.dds are puma gloves, enjoy! Quote from WackoZacco : Made some gloves today, hope you like, Gloves_A.dds are alpinestars gloves, and Gloves_B.dds are puma gloves, enjoy! ok here are previews of the gloves posted above, I have also included an rar with all different colors of the gloves, you will have to change the name of them to either Gloves_A.dds or Gloves_B.dds and place them in the dds folder so you can see them. 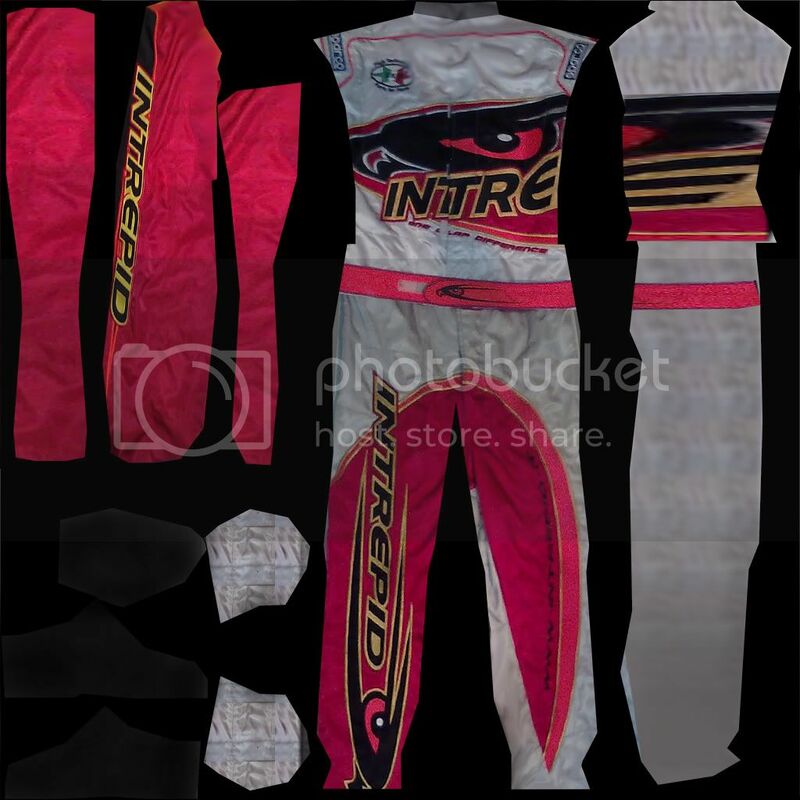 intrepid racing suit. i made it from pictures because i was bored and wanted to know can it be done like that. Quote from WackoZacco : ok here are previews of the gloves posted above, I have also included an rar with all different colors of the gloves, you will have to change the name of them to either Gloves_A.dds or Gloves_B.dds and place them in the dds folder so you can see them. Looks quite nice, good job! How do I get these to the game? Quote from Mr.46 : How do I get these to the game? Did you save the suit with what name? You can only replace the old suits with new suits so you have to name them for example SUITS, SUITX etc. for them to work. Quote from keskitalo : intrepid racing suit. i made it from pictures because i was bored and wanted to know can it be done like that. Just wondered why my thread turned into general gloves and suits thread? So the link in my sig for the Alpinestars gloves was invalid god knows how long..
Quote from Boris Lozac : Just wondered why my thread turned into general gloves and suits thread? So the link in my sig for the Alpinestars gloves was invalid god knows how long.. I think because the way you named it (very similar to the other general skin threads) so people thought you just started a thread for us to post the skins..
Quote from Sponge : I think because the way you named it (very similar to the other general skin threads) so people thought you just started a thread for us to post the skins..
That's the thing, i didn't, the thread was called "Alpinestars gloves" like in my sig, for a long time, then someone made it to be general suit and gloves thread..
Quote from Boris Lozac : That's the thing, i didn't, the thread was called "Alpinestars gloves" like in my sig, for a long time, then someone made it to be general suit and gloves thread..
That is strange indeed.. Maybe a new thread should be made and all posts not related to the skin you posted moved there? Quote from Sponge : That is strange indeed.. Maybe a new thread should be made and all posts not related to the skin you posted moved there? Meh, i don't mind, i just think they should've inform me so i don't have an invalid link in my sig..